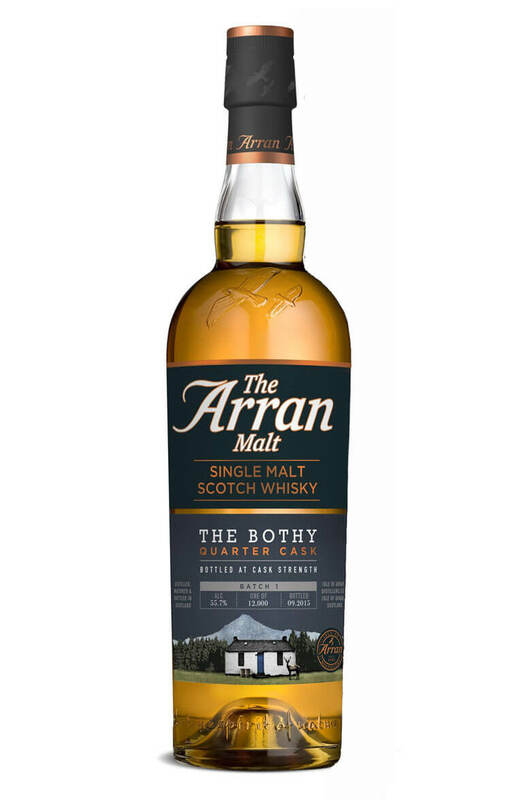 This is a limited edition of Arran that takes its name from the traditional small hill shelters used in Scotland by hikers and adventurers. Only 12000 bottles have been produced and it is matured in small quarter cask barrels after previously having been matured in first-fill ex-Bourbon barrels. Bottled at natural cask strength. Please note that this is batch 2. Nose Lots of fruit with aromas of pineapples, lemon cake, mandarin, orange peel, ginger and vanilla. Palate Powerful and slightly spicy on the entry. Then you are hit by a huge wave of vibrant fruit with flavours of pineapple turnover, lemon curd, apple sauce, orange peel followed by spice flavours cinnamon, vanilla, ginger and white pepper. Types of Barrel used for Aging Initially matured in first-fill ex-Bourbon barrels, followed by at least 18 months in small quarter casks. Dave Broom, Whisky Magazine NOSE Clean, sweet and intense (which you’d expect, given the strength), but also sweet and well-balanced (which you’d hope for). Fresh, with candied lemon peel, light cereal and yellow banana skin. It does scream out for water, which brings out a note of Fox’s Party Rings (orange icing) without losing any of that intensity. PALATE Quite estery when neat – pineapple and banana to the fore, with hints of the boost given by quarter cask, alongside a gently smoothing creaminess. When reduced, has real depth while – and here’s what elevates it – the more volatile elements are released to play around it. In other words, it has complexity. Now you get more strawberry, orange chews, bluebell and a little oak. FINISH Clean and lightly acidic. CONCLUSION The latest in Arran’s Limited Edition series that’s been aged in refill, then finished in American oak quarter casks. It’s a cracker. Snap it up. Arran 12 year old cask strength is a fantastic expression from this relatively young distillery. ..
Sauternes is a famous sweet wine from the Bordeaux region of France that is widely considered to ..
A fine 18 year old Arran that has been exclusively matured in the finest Sherry and Bourbon cas.. Initially matured in 1st fill American bourbon casks before getting a finishing period in American o..